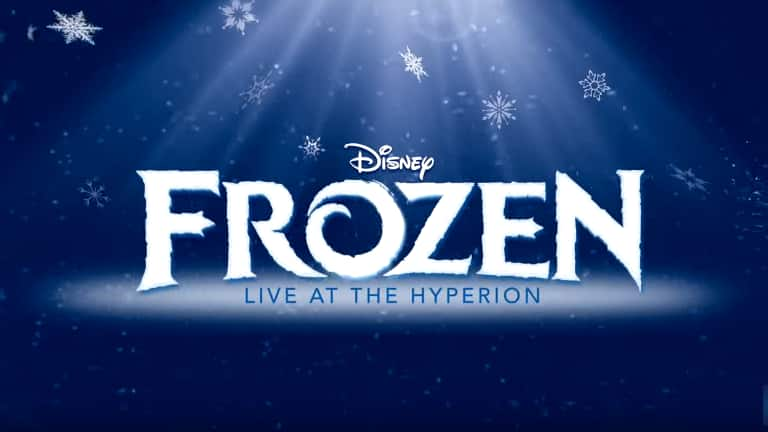 As we get closer to the May 27 opening of “Frozen – Live at the Hyperion,” work continues behind the scenes to bring to the stage this all-new musical presentation, unlike any seen before at Disneyland Resort. 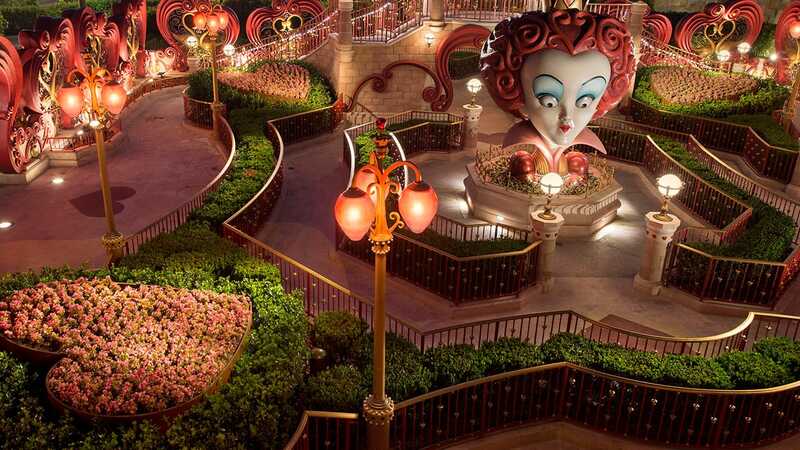 The team at Walt Disney Imagineering Creative Entertainment partnered with Tony Award-nominated scenic designer Robert Brill (“Guys and Dolls,” “Cabaret”) to produce set pieces that will help bring the story of “Frozen” to life in a unique way. From the moment you enter the theater, you’ll be immersed in the world of “Frozen” and led on an emotional journey with Anna and Elsa. Just as doors kept the sisters separated from one another and the outside world in the animated film, doors play a significant thematic role in our telling of “Frozen – Live at the Hyperion,” and as the story plays out, the use of large mobile set elements and state-of-the-art projection technology provides a cinematic quality to the action on stage. In this video, Technical Director Mitch Atkins gives us another glimpse at some of the thrilling work in progress. When the set pieces are combined with lighting and sound design, special effects and the remarkable performances of the cast, the complete production will transport you to the Kingdom of Arendelle for a truly unforgettable hour of theater. Keep checking Disney Parks Blog. We’ll have more peeks behind the curtain soon, as we continue preparations for the world premiere of “Frozen – Live at the Hyperion” on May 27, 2016! What are the timings for the Frozen live show? We are visiting the park on 29th May. Today, I was visiting DCA Hyperion Theatre with my wife, Adealani Malia Wesley, and my 3-year-old daughter, Axs Rayn Wesley. Unfortunately, the NEW Frozen show is still in technical rehearsal. My wife and I met during the Original Cast Production of Aladdin: A Musical Spectacular in 2002. I was privileged to speak with Robert Brill (Set Designer), and Daniel (Olaf). Both were incredibly pleasant. We took pictures with Daniel. As parents, the effect that Frozen and Disney has on children is obvious. As cast members, it is sometimes difficult to imagine. Here’s to an incredibly long and successful run of “Frozen”. My daughter loves Elsa, Anna, Olaf & Warm Hugs! We return to DL on May 27 to celebrate my son’s 12th birthday. We are hoping to see the show during our visit. Will there be any opportunities for reserved or VIP seating (e.g. Dining packages, etc.)? Can’t wait to see this show. I hope that it will be ready when I visit in late October and November this year. Christine – You’re in luck! It opens May 27. What a fun preview! I’m curious what those icicles are in the seats! Please show some costuming next preview!! Michele – We’ll be bringing you a look at the music for the show next, but costume design is on the list, too! Lots of fun, behind-the-scenes stories to tell! Tim– Personally, I really hope that there is no improv in this new show. I got tired of all of the Genie’s improvising. The pop-culture references and general improvising started to take over the show. When I go to a Disney park, I don’t want to hear about pop-culture. And I really got tired of all of the Genie’s long-winded improvised jokes. The show would practically stop just so he could go on a long joke-filled rant, and it started to take away from the story. So cool to get these peeks behind the scenes. I’m really looking forward to seeing this show. I sincerely hope you give the performers a level of script flexibility a la the Genie in Aladdin. It’s going to be very difficult to top what I regard as the best stage show Disney has ever done.